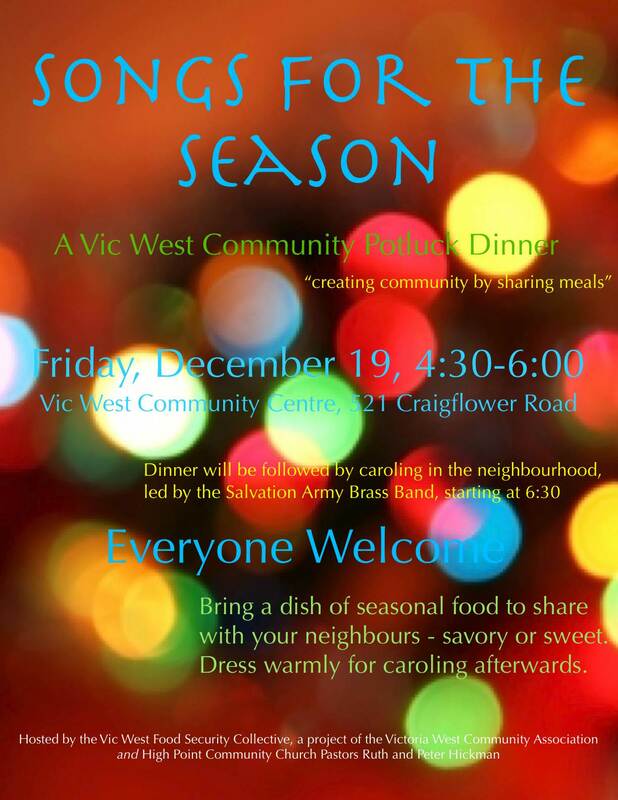 Everyone is invited to “Songs of the Season”, a Vic West community potluck dinner and Christmas caroling evening hosted by the Vic West Food Security Collective and High Point Church on Friday, December 19th. Dinner starts at 4:30 at the Vic West Community Centre, followed by caroling around the neighbourhood led by the Salvation Army Brass Band and ending with hot chocolate at High Point Church. Please bring a dish of food to share (savory or sweet). Bring your family, your new neighbours, your singing voice, and warm clothing for caroling.